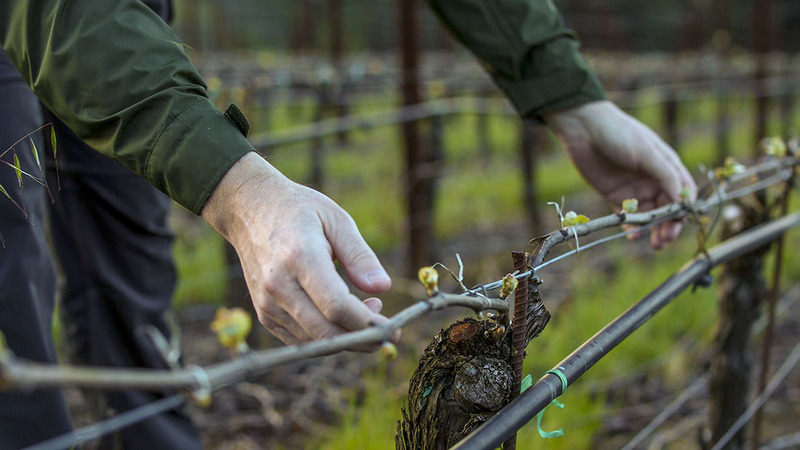 Fittingly our most complex pinot of the vintage comes from our own high-density Estate vineyard that we farm ourselves. This wine delivers a myriad of complex elements along the whole arc of the wine – detailed, multi-faceted and intriguing – a distillation of the site itself in this purest of vintages. A thought-provoking and intellectual wine, not a simple sipper, but definitely full of pleasure – it unfolds gradually to a rising crescendo finish of succulent red and black fruits, dried herbs, sweet soil and tangy minerals. Uncommonly compelling pinot, really mouthwatering and vibrant. The intricate dimensions draw you back in for another sip, something new to discover. At ten years of age these vines have entered early maturity and one senses the wine’s increasing concentration and growing complexity with each passing year. There’s outstanding aging potential here, 10-12 years will be no problem in a cold cellar. While it’s not as showy as Ryan or Finn, all the wine’s intricate, kaleidoscopic details really come into harmony on the long pulsating finish. Brilliance in the glass. Cranberry, pomegranate, rhubarb and black raspberry fruit. Bay laurel, graphite and tarragon complexity. Underbrushy and woodsy, edgy and intriguing. Savory entry, red currant and sassafras, Rainier cherry and dark cassis. Broad across the palate, density and weight. Clove, lavender and forest floor. Balances succulence and structure. Youthful acidity and fresh minerals extend the finish. Slower to open. This one will age. Really fascinating, commanding pinot – a beautiful mix of red and black fruits, savory elements and chewy tannins.